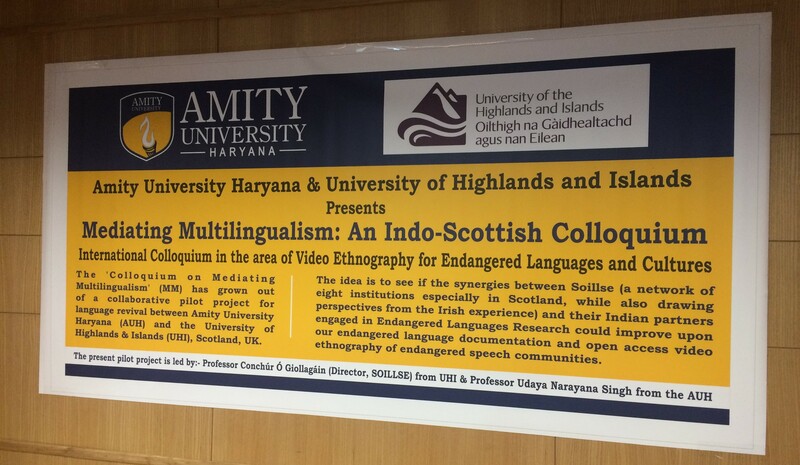 Conchúr Ó Giollagáin, University of the Highlands and Islands Gaelic Research Professor and Director of the Language Sciences Institute, and Gordon Wells, Soillse Manager, spent a week in March visiting Indian universities as part of the Global Challenge Research Fund “Mediating Multilingualism” project. This follows a collaboration agreement between UHI and Amity University Haryana through which Professor Udaya Narayana Singh, formally director of the Central Institute of Indian Languages, will help UHI and Soillse engage with the network of Centres for Endangered Languages (CFELs) across India. The colloquium was followed by a trip to Kolkata, where the Island Voices “Gaelic Journey” film was shown at the CFEL in Jadavpur University, at the kind invitation of Professors Mahidas Bhattacharya and Samir Karmakar, before Conchúr Ó Giollagáin spoke on the topic of “Minority Bilingual Acquisition”. The final venue on the tour was Visva-Bharati University at Santiniketan, established by the Nobel Laureate Rabindranath Tagore, which houses another CFEL, where both speakers were again given a warm reception for their presentations on Video Ethnography and Gaelic Cultures. 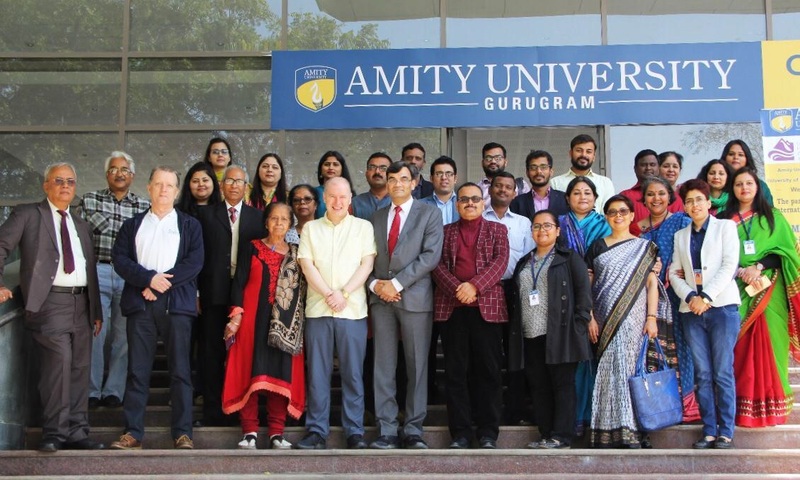 A full account of the Amity University Colloquium by Professor Esha Jainiti has been published on Asian Community News here. Links to talks and presentations by both Soillse speakers over the full tour are given below.